Being a real estate investor is not an easy business to venture in. There are so many challenges to overcome! That’s why we formed Sam’s Real Estate Club. To give investors the education and support they need to turn their dream of being a real estate investor into a reality. But there’s one more important ingredient that’s crucial to your success. ACTION. This is the nuts and bolts. This is finding the deals, analyzing them, determining if a property is a good deal and if there’s a potential for profit. There’s a powerful new software platform launching in Southern California that will streamline your business, simplify your life, and help you find and close more deals. Their system scours the MLS 24hrs a day to find potential deals and identify investor activity so you know what other investors are having success with and where the hot areas are. It’s like an MLS completely redesigned for the real estate investor community! Here’s just a few things that Privy can help you do.. Whether you're just getting started or you’re an experienced veteran, Privy can help you take your business to the next level. It will save you time, make you more efficient, and give you the confidence to make quick decisions when it’s time to pull the trigger! 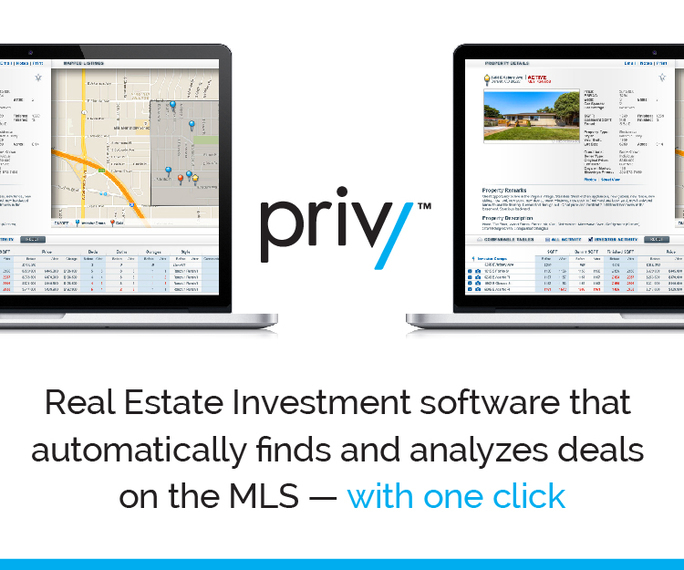 If you’re serious about investing in real estate, we highly recommend that you take some time to learn about Privy and if it’s right for you. By the way… We’ve negotiated a special deal exclusively for our VIP members, just login to your VIP Dashboard to get your promo code.